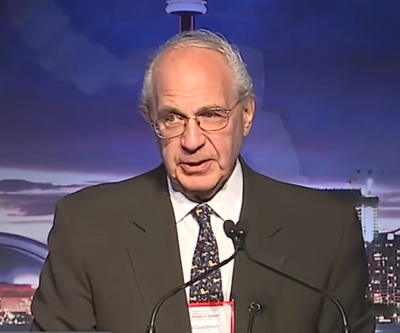 Ned Goodman speaks at the Canada-Africa Business Summit 2014. Gold giant Barrick Gold Corp. (TSX, NYSE:ABX) announced Thursday that Ned Goodman has resigned from the company’s board of directors to focus on a new business venture in resources and other hard assets. Goodman, a veteran Canadian money manager, was appointed to the board in December 2013 and took chair in April 2014. His nomination was part of a move to bring new faces to the table and increase the number of independent directors, as demanded by shareholders. Goodman founded Dundee Corp, a Canadian asset management company that invests primarily in the resources, real estate and infrastructure sectors. Image: Screen grab via YouTube.